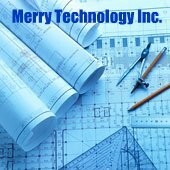 Welcome to the official page of Merry Technology Inc. The Nations Leading Green General Contractors. We are your full service General Contractors, We provide everything under one roof. All of our members would like to extend gratitude for your interest in our family and we are looking forward to serviceing your construction needs. We take pride in the satisfication that our clients recieve from the services that we provide and it is our hopes to be assisting you and your clients for many years to come. As we continue to grow, it is our hopes to service the construction needs of a global community by provideing quality products, expertise in workmanship, on-time completion of projects, increasing the economy through the continued creation of jobs and training, promoting and supporting economic development, utilizing earth friendly processes for industry implimentation and completion of construction projects. We have committed ourselves to pioneering the way in our field of work. All of our Sub-Contractors are Licensed and Bonded. We can take care of all of your Construction needs using our family of Sub-Contractors, Specialists, and Project Management Staff. So that we can offer our customers the highest quality of workmanship we use skilled tradesmen that take pride in their work and we are here to give you the best customer service experience possible. We staff only Licensed, Bonded and Insured Sub-Contractors with a proven history of completed projects and consististency in company pruceedures.